Disaster planning is overwhelming. Where do you start? Talk to Terri about how to get going. 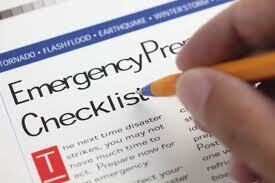 Use her checklist to determine your level of preparedness. What do you already have in place? Are you somewhat prepared? What can you do next? Help clarify your current state of readiness and develop future steps to improve it.